Yesterday was the reveal of the Citrus Twist February kits and today I would like to share my February projects. 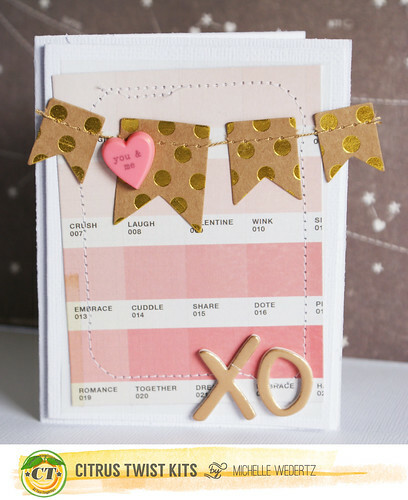 This month I worked only with the February "Love Letters" Main Kit which included some beautiful color combinations and products that made me excited to create. 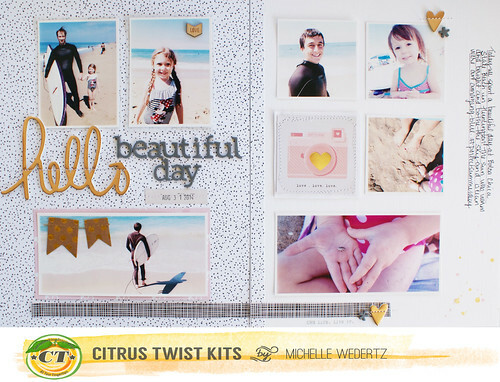 One of the qualities that I like best about Citrus Twist Kits, is that I am able to use the same products from one kit, but make completely different looking projects. I kept the two beach themed layouts similar because they go together in an album, but I went with a totally different color combination with the layout where I am sitting at lunch. And then, to top that off, I made some Valentine's Day cards! Ha! Love it when my I can stretch my kit :). 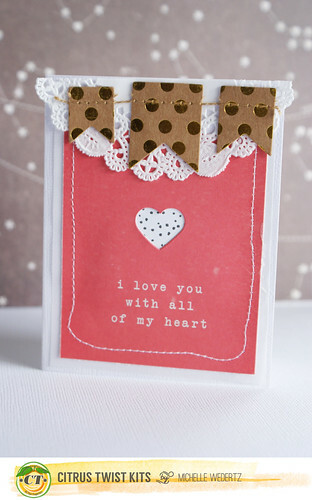 To see more projects using February's kits, make sure and stop by and take a look at the Citrus Twist Gallery! Love these layouts! Great job! 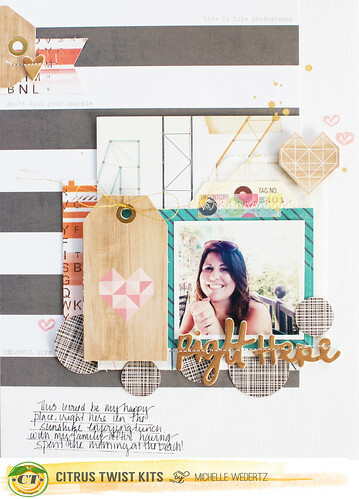 Fab projects, but really, really digging the "happy" layout!